I can't lie I love the second and even third stage mutations. Was the idea taken from you for the 80's cartoon or was it just a coincidence? 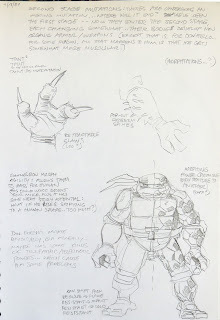 Leonardo ended up becoming uncontrollable after the villain at the time messed with the cure Donatello was working on. Not sure if you ever saw those seasons but I'd give them a look over to see. Anyway it's been quite some time! I hope you and yours are doing well Peter. "Was the idea taken from you for the 80's cartoon or was it just a coincidence?" The toon really went with many of your ideas it's pretty crazy. 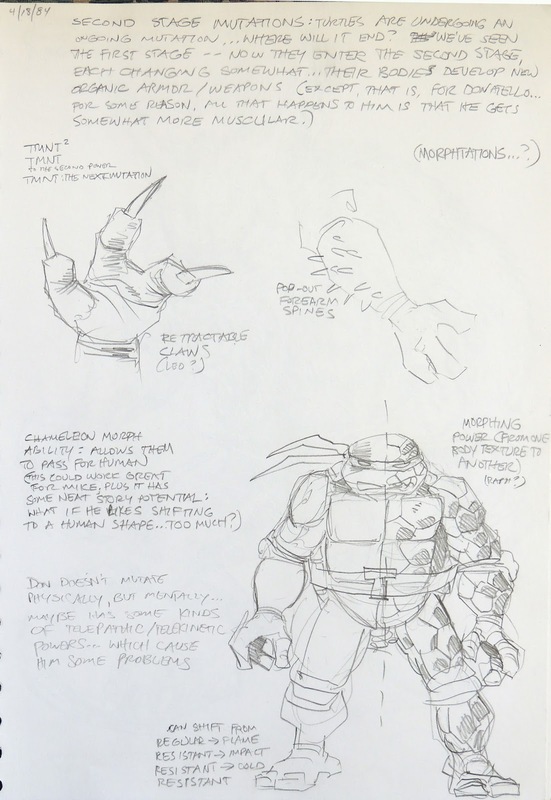 Wow, I would have loved to have seen Leo or Raph with the retractable claws. The Mikey human morph idea is great too, could have worked for Don too if he invented some sort of cloaking device. Love to see a sketchbook published, but this is a great treat as it is.Thank you for posting. คาสิโนออนไลน์ Online gambling at our online casino is open to bets. Top quality Both online baccarat game. Online Fantasies Online poker, thirteen online slots, online roulette, online dice, lying and many other sports betting games at our online casino is a stable service to make the gamblers can bet. I have always wanted to. Our online casino offers online live games. Through the computer, mobile phones, iPods, iPads, notebooks, gamblers can enjoy easy online gambling where the player can choose to risk. It is easy to play a variety of games. Our online casino is the most popular choice today.